There are huge games that are available to play on your Windows PC that can be played with HTC Vive or Oculus Rift the Windows Mixed Reality. The amount of games keeps growing, with many more unreleased titles on the way and you want to be the first one to know their launch dates and their discounts or other updates. 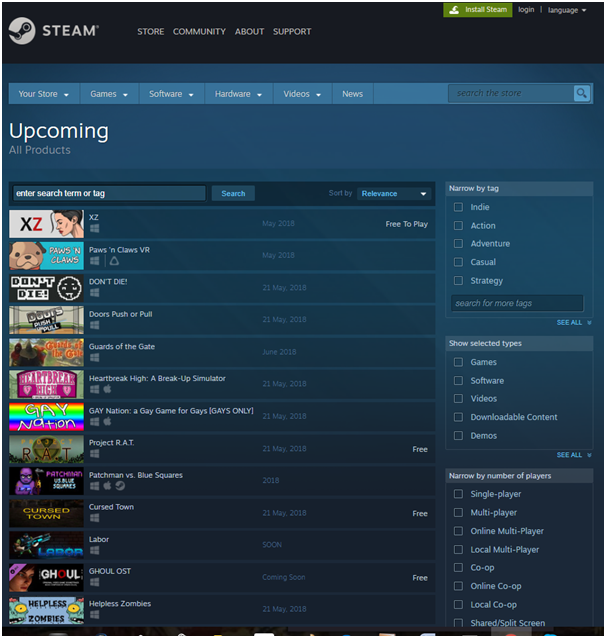 So here is how to know the upcoming games in Steams with few other tips and tricks for new windows gamers. 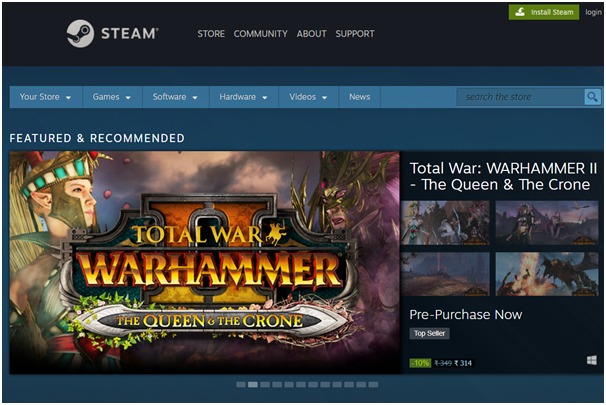 First launch Steam from your Start menu, desktop, or taskbar. Now click the Upcoming category. It’s located on the left side of the window. Next click a tag, type, or feature on the right side of the window to narrow search results. Click a game from the main list that you’d like to know or follow. You’re now following the game. You’ll receive updates about the game in your Steam activity feed. Now hover your cursor over the Your Store tab. Click Followed Games and Software. 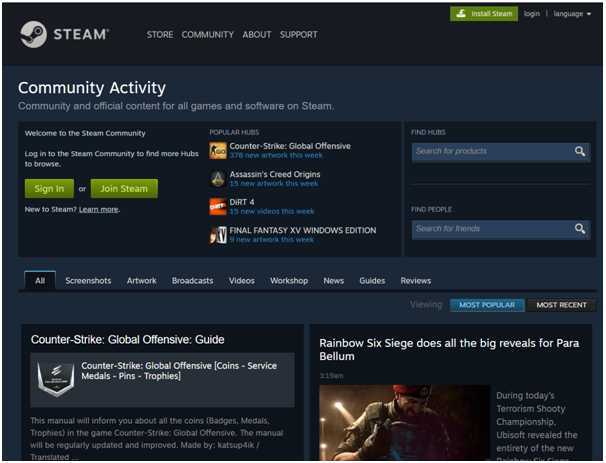 If you are new to Steam then note that it was created by Valve to play games on Windows PC. 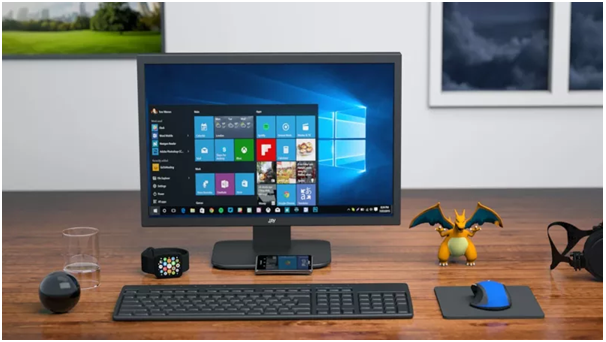 Here you can purchase games, play those games and communicate with friends without having to use other software. To get going you need to get Steam installed. 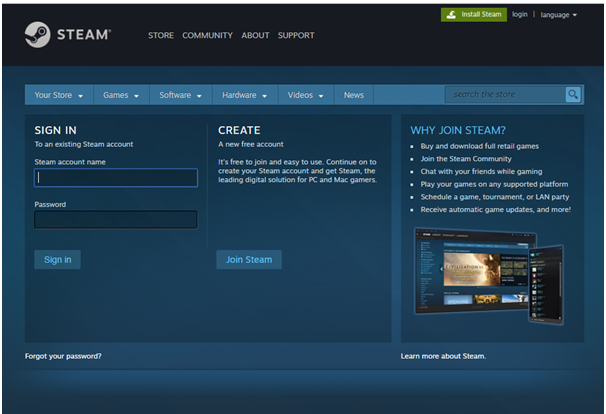 You will also need to create a Steam account to access services and purchase games. This can all be achieved from the official website. Visit to store.steampowered.com. Run steam and click on “Create account”. Enter necessary details, credentials and accept the terms and conditions. Once you have everything set up and have logged into the client, you’ll be greeted by the store page. This is the default location the platform will send you to each time you visit. Take a moment to have a look around. Four tabs at the top of the software take you to the various sections of the app: Store, Library, Community, and Profile. 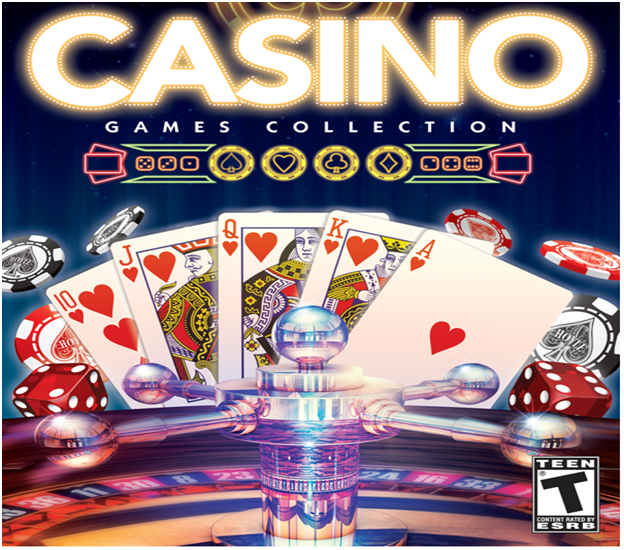 Store is where you find new games and make purchases. Library is the place where you find all purchased and activated games that will show up here. Steam has a massive community and Community is where you can access groups, find friends, the Workshop, and more. Profile is where you manage your profile and Steam account. Simply visit your profile and edit information, add friends, and get everything squared away. It’s also possible to link your Steam account to Facebook. As well as editing your information, it’s also required to have a valid form of payment tied to your account, be it a credit card, debit card or PayPal. When you make purchases from the store, Steam will ask which gateway you’d like to use to pay for everything in your cart. All games purchased from the store are listed in your library. This is where you can download, uninstall, and update titles, not to mention quickly access mods, game forums, and more. When uninstalling games, Steam will also delete all other files, too, so this means you’ll lose all your saved games if that particular title does not support Steam Cloud, a service that copies your local saved games to Steam’s servers. You can activate offline mode too in Steam to play your already downloaded games. 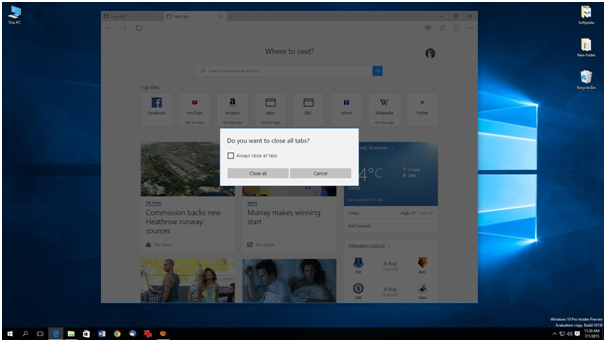 Simply head to settings, uncheck “Don’t save account credentials on this computer”, then hit “Go offline” from the main menu. It’s easy to get started with friends. Some games actively support Steam and can show friends who are playing the same title in-game, which makes it super easy to get together. If not, you can open up your friends list, right-click your friends and hit “Join game”. Steam is famous for offering massive discounts on games at certain points throughout each year. Keep an eye out on the store for when promotions are up for grab, and you’ll be able to increase your collection without losing too on your wallet. You can also change the appearance of your Steam client appear by having a skin installed. You can Download a skin from Steam Skins. Extract it to your Steam skin folder. Head to your Steam settings. Click “Interface.” Choose a skin from the drop-down menu. Restart the client. 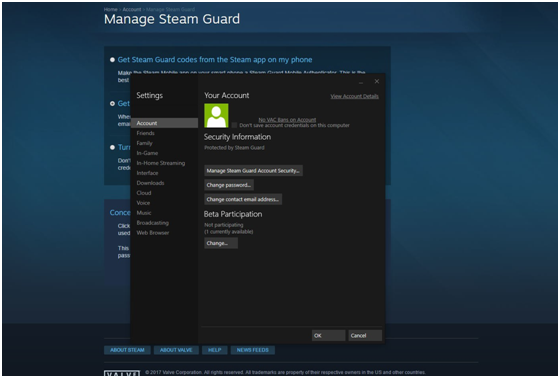 Also you can secure your Steam account and that is done by verifying your email address with Steam, Steam Guard will be activated on your account. This will require a code to be entered when your account is logged in on an unknown device, which is sent to your email address. If you’re the one logging in, simply enter the code and it’ll log you in. If a third party is trying to gain access, they will be locked out unless they also have access to your email. It’s a handy safety measure that can be accessed from the main Settings panel. 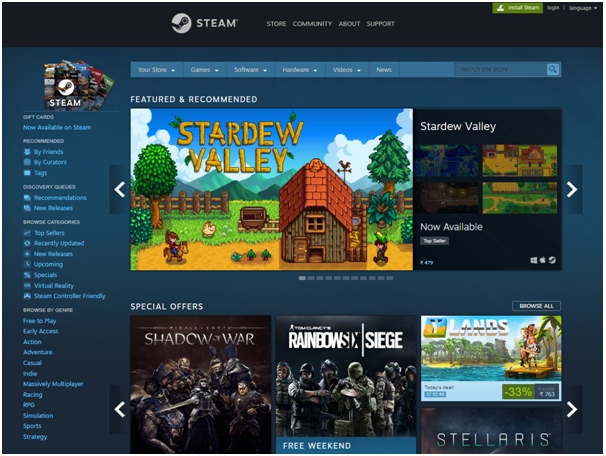 Now create your Steam acount and get going playing wonderful games on your Windows PC.